It is that time of year again. 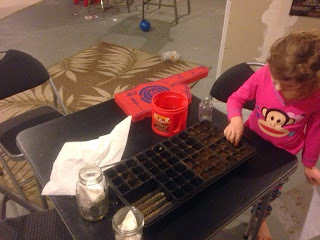 Time to start seeds for the 2015 gardening season. The weather outside is nasty and I cannot wait to get out in the dirt. I need to get something growing to keep my sanity. This year I am trying a new process. 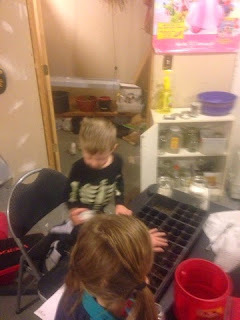 In years past, I have used a grow light to start my seeds. Not this year. I am going old school this year and relying solely on Mother Nature. This year I am starting my seeds in a south facing window in my house. I could be making a mistake but I don't think so. I have done a little research and I am confident my plant starts will be fine. 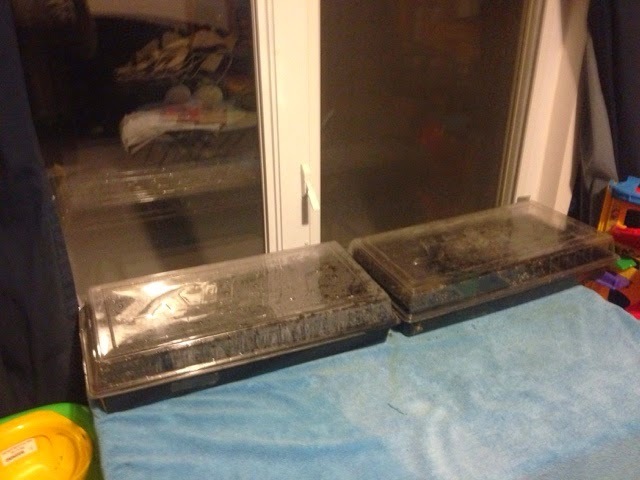 Using the grow light cost me about 25-30 bucks to start my seeds. That is cheaper than buying plants from a greenhouse but doesn't go well with my philosophy of keeping it simple. Another improvement I have made to the process this year is in identifying the plants. 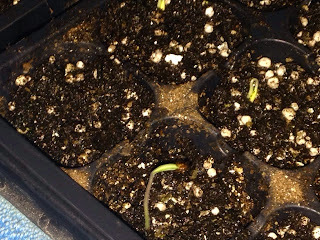 In years past, I would write the name of the plant on a piece of cardboard or plastic that I would stick in the plant. That did not work well. The writing would either wash off or the slips would fall off the plants. I would have to guess what plant was what. This year, my daughter drew a picture of the layout of each tray. 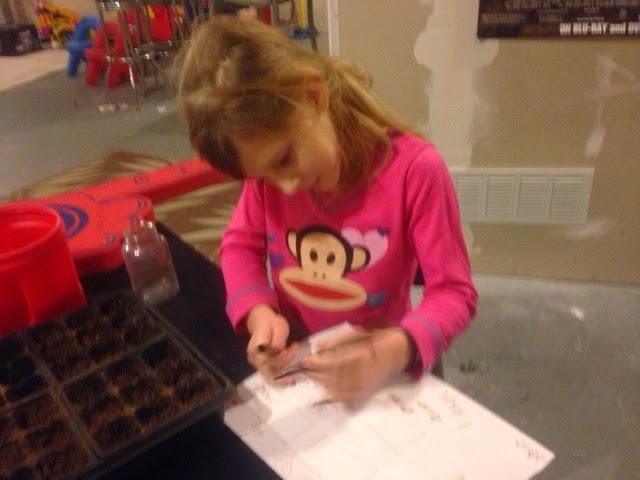 She then wrote the name of the plant on her drawing. 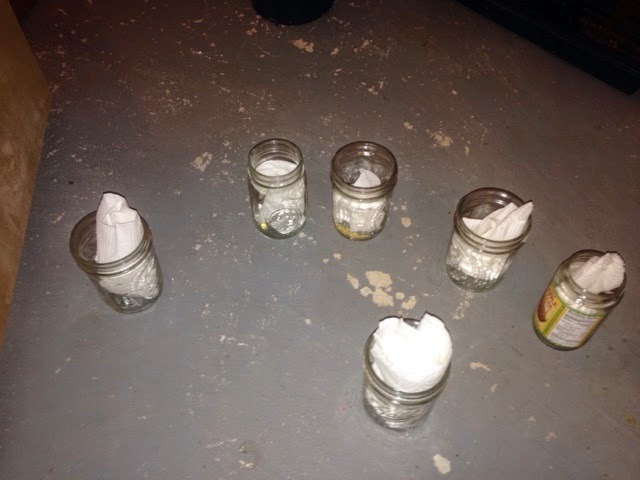 This will help out identifying the plant plus got her involved in the project. She had fun with this part! I have 75 heirloom tomato plants started and 30 pepper plants started so far. I will be starting basil, broccoli and lettuce some time this week. I have big plans for my garden again this year as you can see by the amount of plants I have started. Seeds I saved from last year. Writing down which seeds we planted where.